River City Interiors, Inc. is an interior finishes contractor in the Louisville, Kentucky metropolitan area specializing in commercial, light industrial, and institutional work. The company was founded in February 1997 by Michael T. Hawkins, and has grown to employ approximately 50 employees. RCI completes over 150 projects annually, ranging in size from $500 to $500,000. 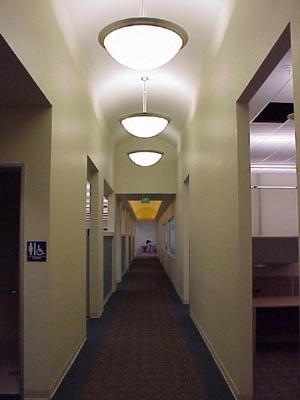 RCI prides itself on the ability to service any client without regard to type or size of project. For a select listing of completed projects and job site photos with general contractors and architects, please see our projects section. Our services consist of interior/exterior steel stud construction, E.I.F.S., insulation, drywall, and acoustical ceilings. However, we have also completed successful flooring, painting, and finish carpentry projects. RCI employs only skilled management personnel and field construction professionals who perform their work with quality and pride. All are dedicated to customer service, employee satisfaction, and company profitability. In return, RCI provides a host of benefits which include: medical, dental, life insurance, 401(k) retirement plan, paid vacation, holidays, and an annual bonus. Employment opportunities always exist within our aggressive and growing organization.